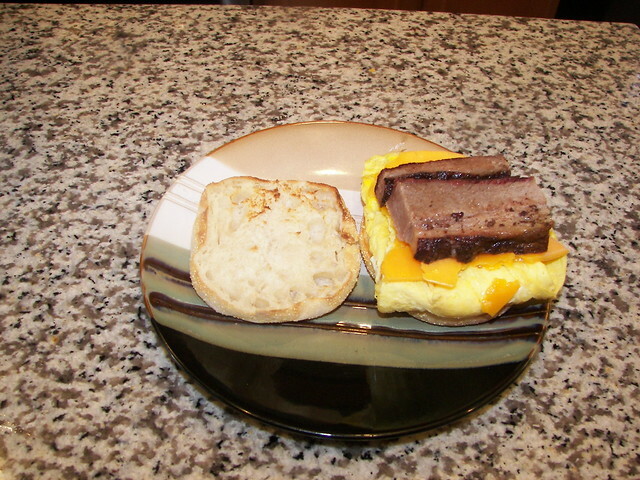 Well didn’t plan to do both with the same Brisket it was supposed to be a high heat but really had no choice. Almost all day we had steady 35MPH winds and the 18.5 WSM didn’t like it. I anticipated a little trouble but not what I got. Filled the WSM with KBB and used apple and cherry for the smoke. 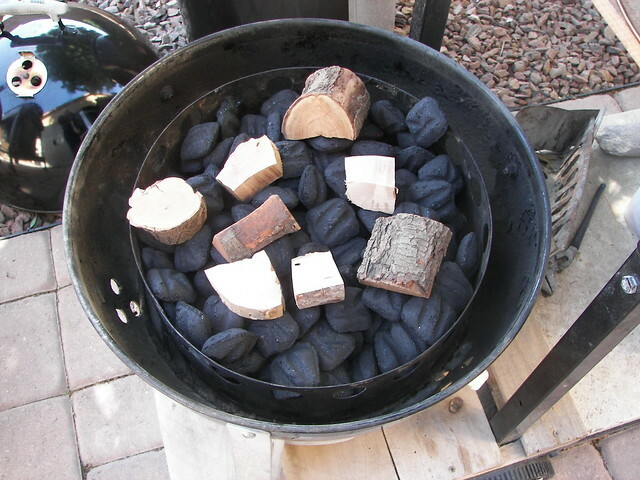 Poured ¾ of a large chimney of fully lit coals on the unlit coals. 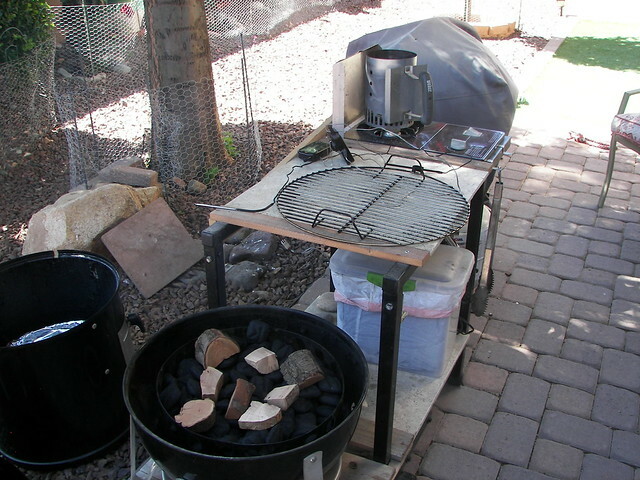 Let it settle down a little and put the brisket on. Temps stalled at 240 -250 wouldn’t go any higher. Cracked the door and with the wind the temps started to go lower. Hit 170 almost 4 hours later. When it was getting close to the 170 mark I fired up a full large chimney of KBB, We pulled it to foil it and I dumped the fully lit chimney on the existing coals. 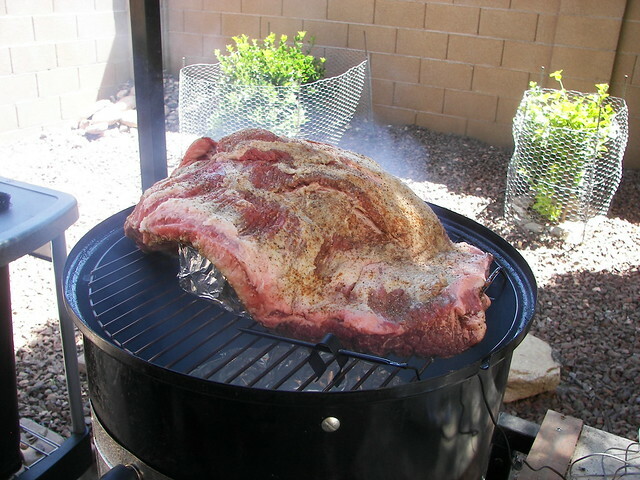 Put the WSM back together and hoped for the best and 20 minutes later were cruising at 350. 2 1/2 hours later the IT temp was 203, I probed it and it was like soft butter. 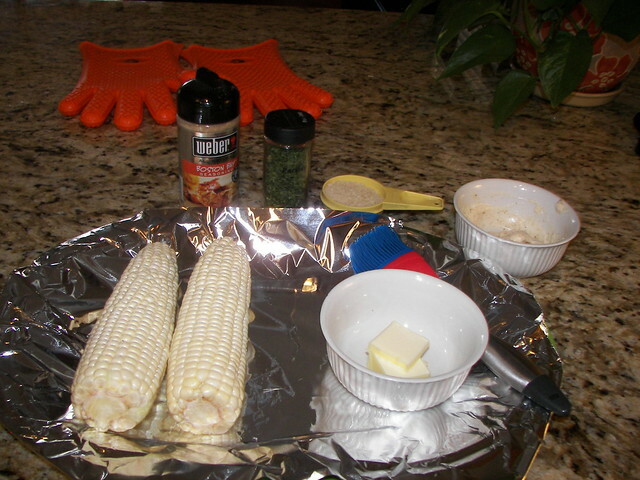 Barb made her corn on the bone and potato salad. Turned out to be a great smoke day. Now that I think about it I may do the next brisket the same way as the L&S at the beginning exposes the meat to smoke for a longer period. Which Barb and I could really tell the difference from the last HH one we did. 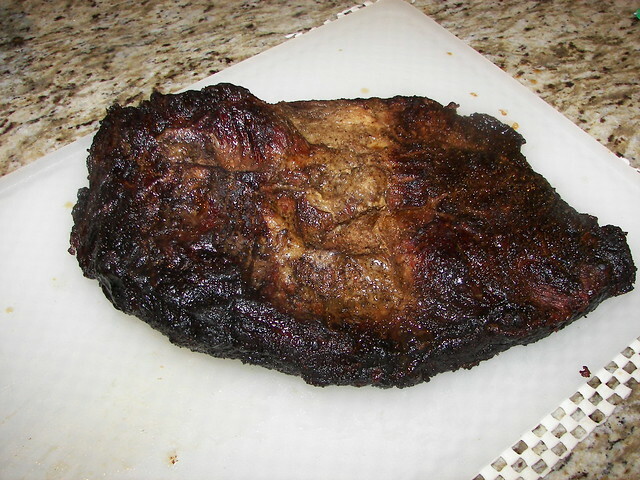 Still a 12 pound brisket done in under 7 hours works for me especially if it turns out like this one did. You, Barb, and the pups should stay well fed for the near future. The L&S to HH is how I did my baby brisket, I also do butts that way. I gave yesterday's baby 3 hours at 225 +/- then kicked it up to near 300. I didn't make a brisket McBob because I knew a McRich was coming soon. Good looking brisket Rich & sides Barb. Windy day here yesterday too. That brisket turned out fantastic! The best of both worlds! Food looks tasty Rich. I'm just staring to use my new 18 WSM and I am really liking it. Nice improvisation Rich. Brisket looks wonderful. Sides too. Nice Job Dahls! 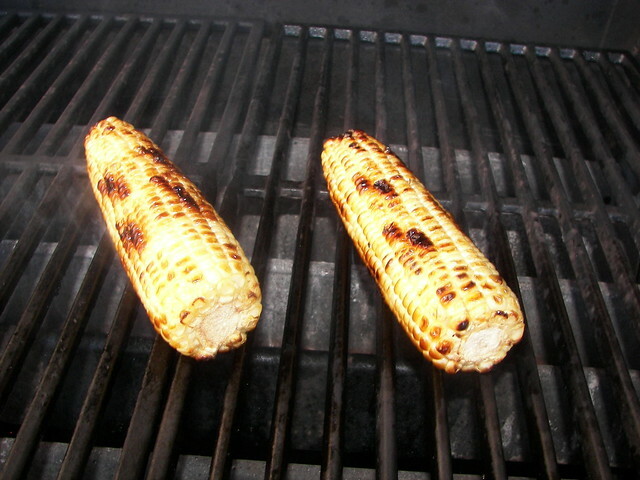 Sounds & looks great - glad you were able to use charcoal. 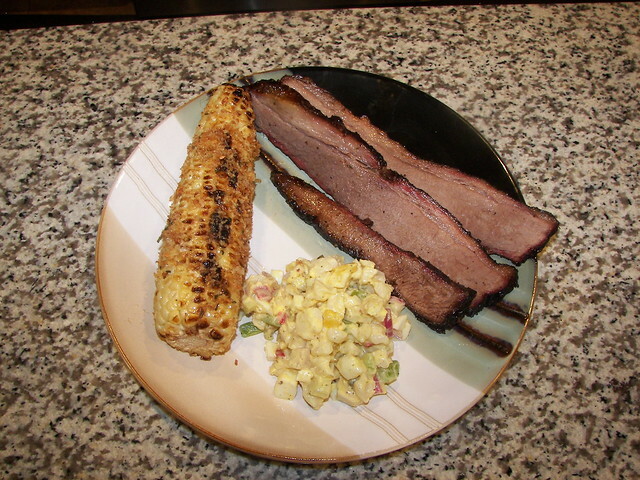 That is some phenomenal looking brisket and corn, y'all!! Hope the pups got a bite!! 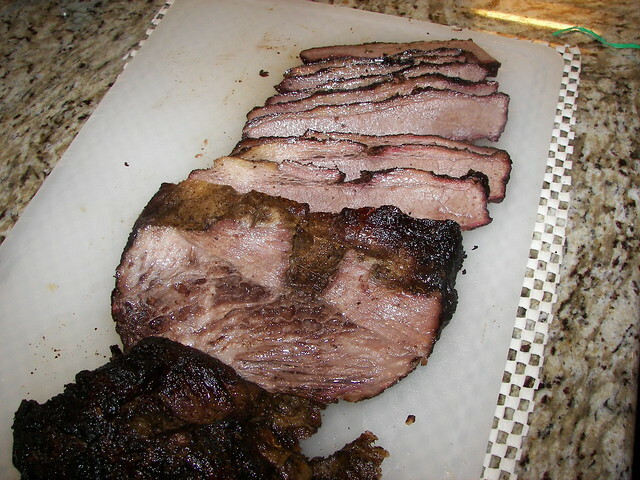 Mighty fine looking brisket you cooked. I know that the dinner was tops.